As mentioned in the earlier post on Hyderabad Zoo, we totally missed seeing the White Tiger, as the line to go to that special area was bigger than line for a blockbuster movie. It seems as a country our obsession with White color is not limited to humans but also goes for tigers. 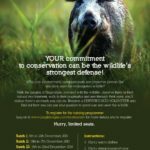 While the normal tiger is highly endangered in Jungles and wild life sanctuaries of India, Zoos are trying to out-breed each other for the whites. I think a bit of information about White Tigers, should put things in context. 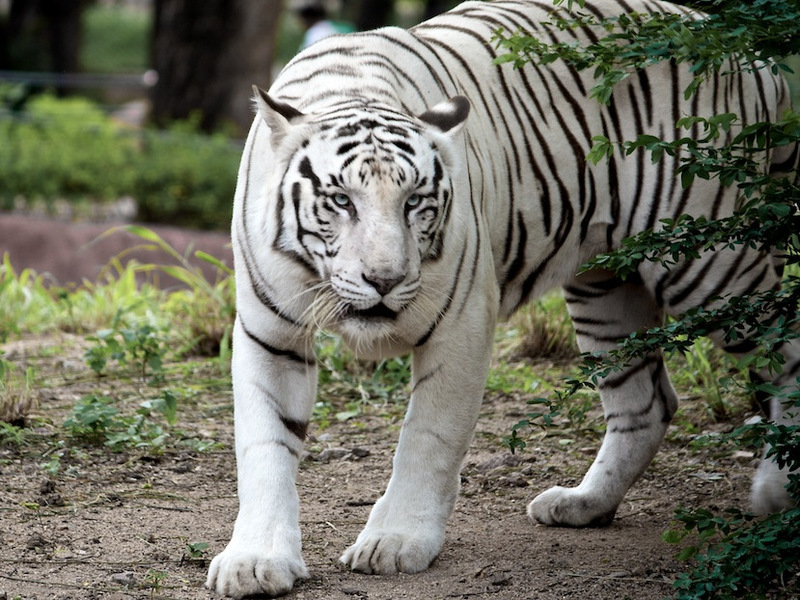 A White Tiger is very rare in nature as it is not a separate species from the Bengal Tiger and the scientific name of White Tiger is Panthera tigris tigris exactly same as the scientific name of the Royal Bengal Tiger. 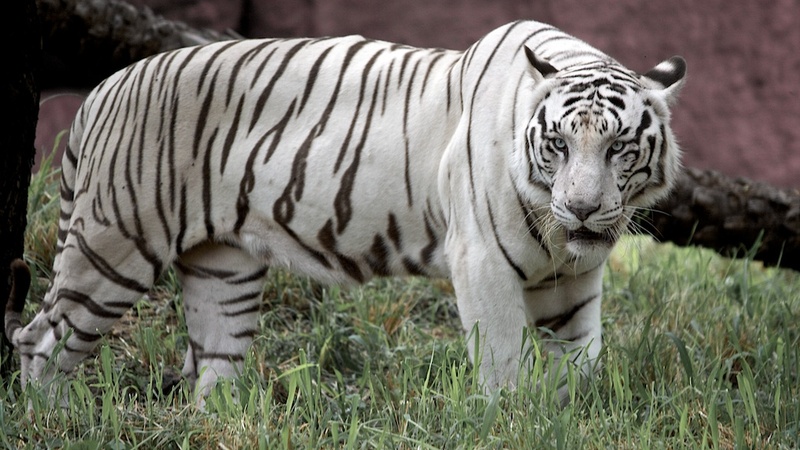 As per scientists the White Tiger is actually a recessive mutation leading to white color, and in jungle it is actually a disadvantage because it will stand out in the yellow, orange, beige, and ochre color of the tall grass tigers normally hide while stalking prey. The Maharaja of erstwhile state of Reva caught a white cub alive before independence. This white tiger Mohan is the forefather of almost all the current white tigers found in India as well as abroad. This is what most scientist are worried about as a lot of inbreeding has happened in the descendants of Mohan leading to weakening of the gene pool and a lot of white tigers today are susceptible to more disease and genetic disorder. 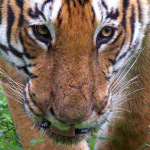 Any ways you can check more about white tigers here on wiki. Today White Tigers are found only in Zoos around the world and there is no recorded sighting in wild for last 5 decades. 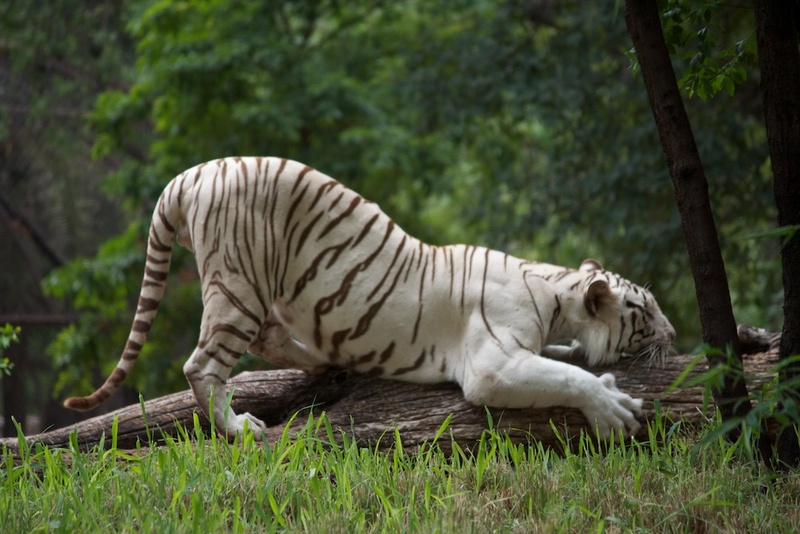 Hyderabad Zoo has one of the largest population of white tigers, and they are its prime crowd puller. 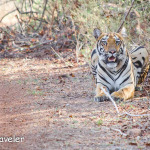 As we could not see white tigers, my friend Ganesan who clicked pictures of Vista D90 road test review, was kind enough to his pictures of White Tigers for desi Traveler. Aren’t they majestic and beautiful? Do they look any different in shape or size to you? As per scientist white tigers are slightly larger and heavier compared to normal tigers. 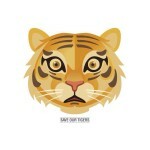 In case you have seen white tigers how about sharing your observation here in comments? 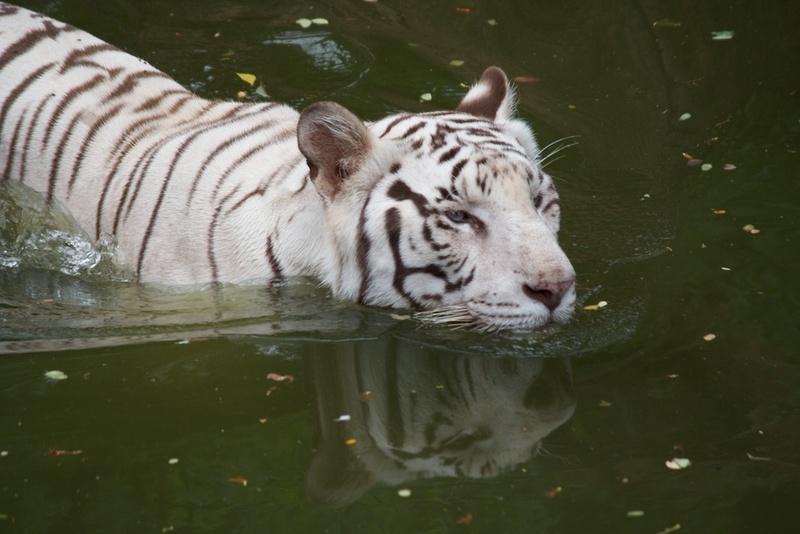 I hope you have liked this post and Ganesan’s pictures of the Majestic White Tiger taken in Hyderabad Zoo. I haven’t had a chance to see any white tiger until now but I can say from these pictures, that whenever I get to see one, the feeling will be much more powerful than just awe. 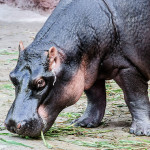 These creatures are truly royal, what gait and posture! Amazing captures and post.